The Pink City, capital city of the state of Rajasthan, is equidistant between Delhi and Agra, making it the diamond of the Golden Triangle. Though the Pink part of the city is nowadays confined to the old walled quarter of the city, Jaipur offers a flamboyant showcase of Rajasthani architecture. Originally a yellow colour, the city was given a rose coloured paint job to commemorate the visit of Prince Albert from England in 1876. The site of the modern city of Jaipur was chosen by Jai Singh II when he decided to move his capital from Amber. Working in accordance with the ancient Hindu treatise of Vastu, he designed and built the city of Jaipur so that it was astrologically aligned to the happiness and prosperity of it's people.In keeping withe the observance of the shastras, each quarter of Jaipur is home to a particular centre of activity or commerce. Jaipur's most famous monuments lie within the City Palace Complex, at the heart of the Pink City. 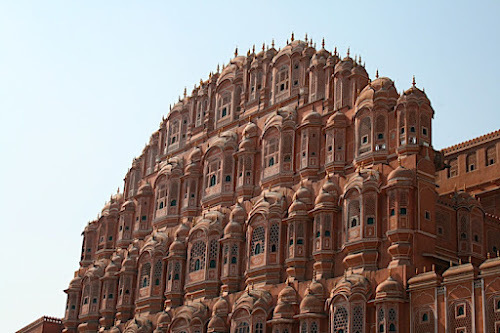 The Hawa Mahal (Wind Palace) where women of the court watched over the city without being seen, the Jantar Mantar observatory are within walking distance of the palace where the Royal Family still lives. 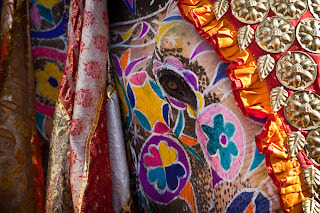 The Elephant FestivalThe Elephant Festival begins with a beautiful procession of bedecked elephants, camels, horses and folk dancers. 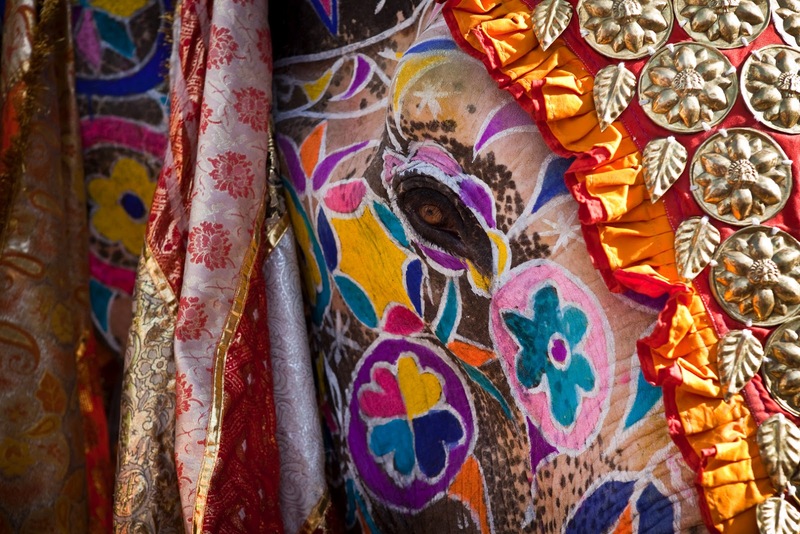 The owners proudly embellish their elephants with vibrant colors, jhools (saddle cloth) and heavy jewellery. It is quite a treat to see female elephants wearing anklets, which tinkle as they walk. One can see people sprinkling 'gulaal' (colored powder) perched on top of the elephant. There are prizes for the most beautifully decorated elephant. Tips:During the Hot Season, temperatures in Rajasthan can soar to more than 50C. 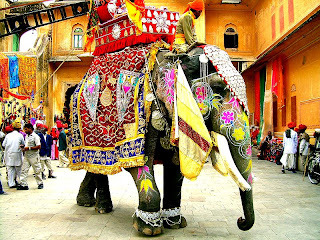 The best time to visit Rajasthan is between October and February when daytime temperatures rarely go higher than 30C. If you are more able to withstand heat and humidity, the monsoon season (July to September) is a good shoulder season, the state is beautifully green and the light for photography is at its best. Alcohol: One of the delights of visiting Rajasthan is the strong adherence to the traditions of the culture. As such the use of alcohol is not a part of the cultural tapestry of Rajasthan, so expect to pay a premium price for alcohol.